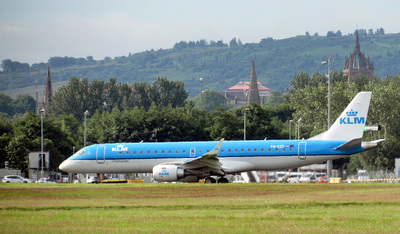 Embraer 135BJ G-WIRG and Boeing 737-7BBJ A6-RJZ (20th; Bombardier BD-700-1A11 Global 5000 HB-JFB, Airbus A320-214 9H-AEI Air Malta retro colours, Boeing 737-7BBJ A6-RJZ (21st); Challenger CL605 HB-JFA, Cessna 560XLS CS-DXK and CRJ200ER G-RADY (22nd); Fairchild Swearingen SA-226AT Metro IV D-CBIN Binair (23rd); Boeing 737-4KS EC-LNC Alba Star, Embraer 135BJ G-PPBA, Embraer 500 D-IAAY and Embraer 145 F-HAFS (24th) Beech 350 M-SPEC, R44 G-CTFL and Challenger 605 EI-WFI (25th); Learjet 35A G-JMED, Cessna 560XLS LX-INS (26th); VP-BBR B787-8 Azerbaijan and Boeing 737s F-GZTM and F-GZTA Europe Airpost (28th); Airbus A320-214 4K-AZ80 Azerbaijan, Cessna 560XLS Citation XLS CS-DXS, Dassault Falcon 900EX F-GKOM and Sikorsy S-92A G-MCGH `Rescue 912` HM Coast Guard (29th); Learjet 35A D-CAPO (30th). 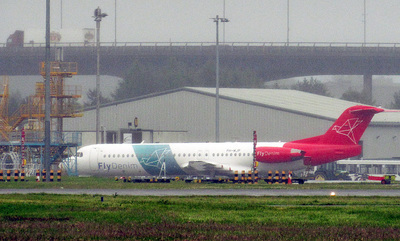 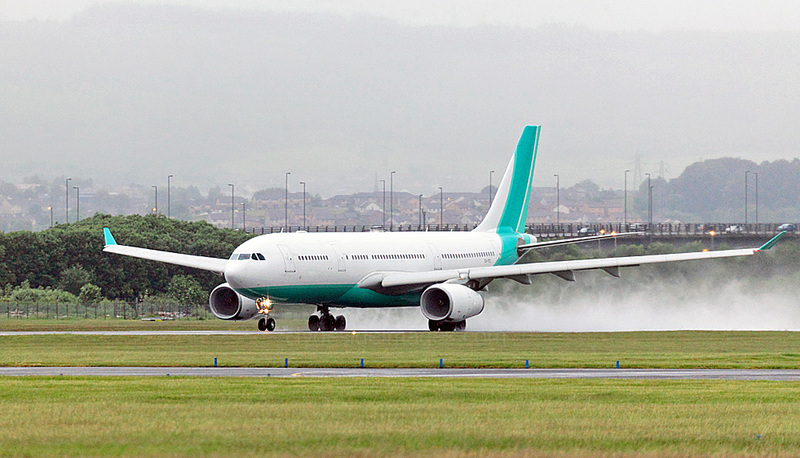 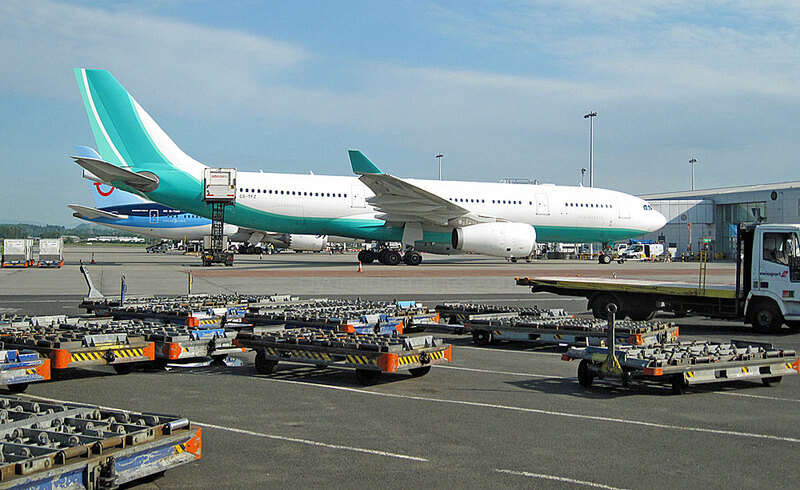 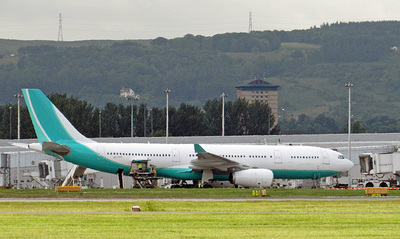 Hi Fly Airbus A330-243 CS-TFZ, seen here on 1 July, had arrived the previous day. 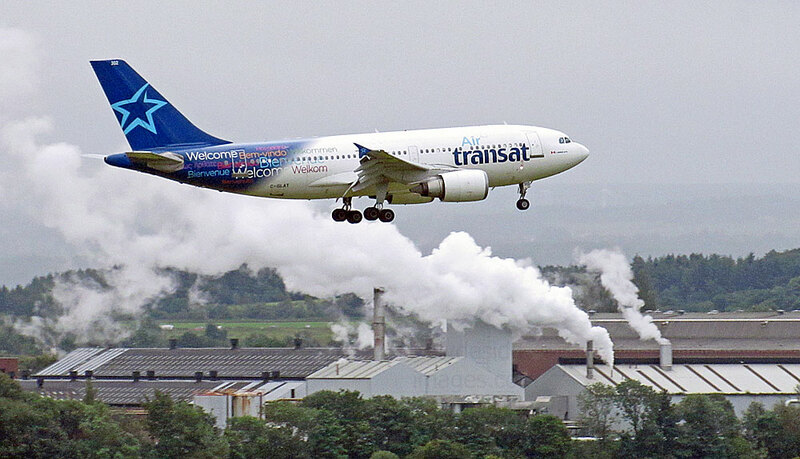 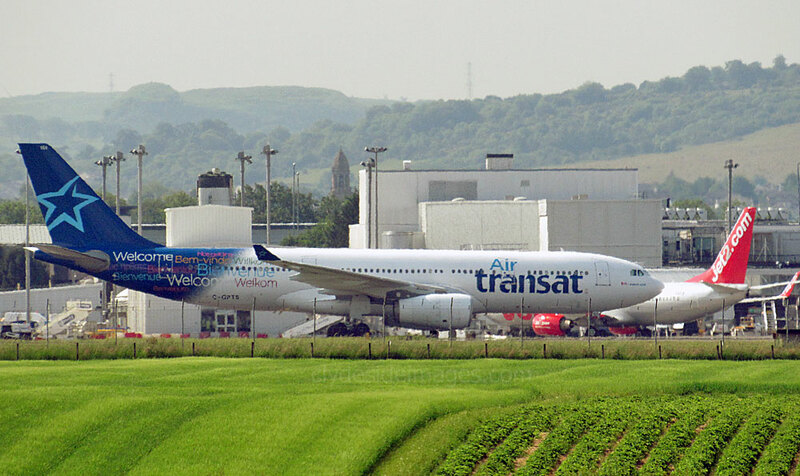 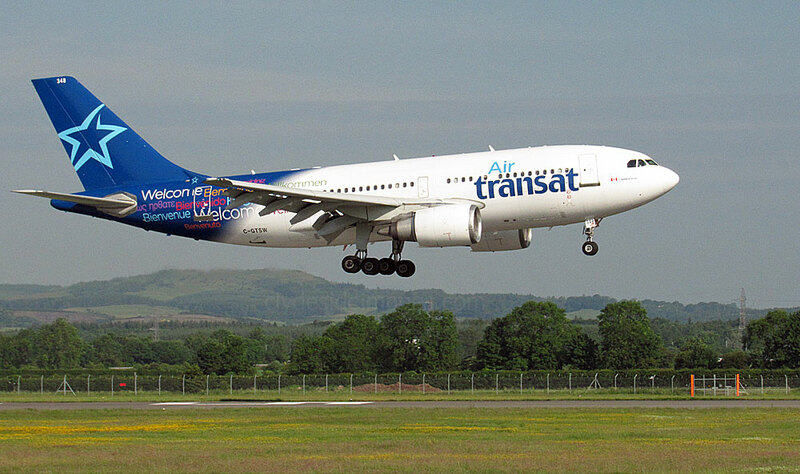 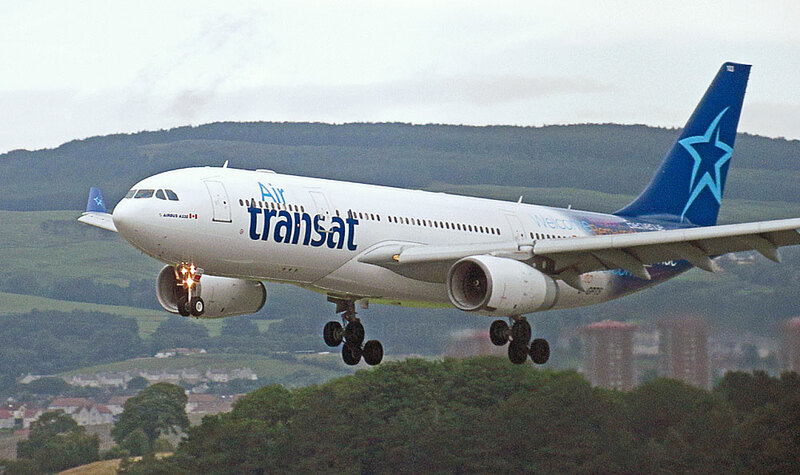 On the first day of the month, no less than three Air Transat `heavies` arrived during the morning, the first being A330-342 C-GTSJ (above). 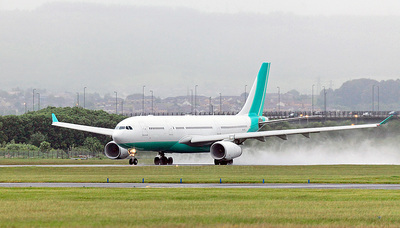 A310-304 C-GTSW (below left) followed then last but not least, Airbus A330-243 C-GPTS, seen here taxiing to the terminal after landing. 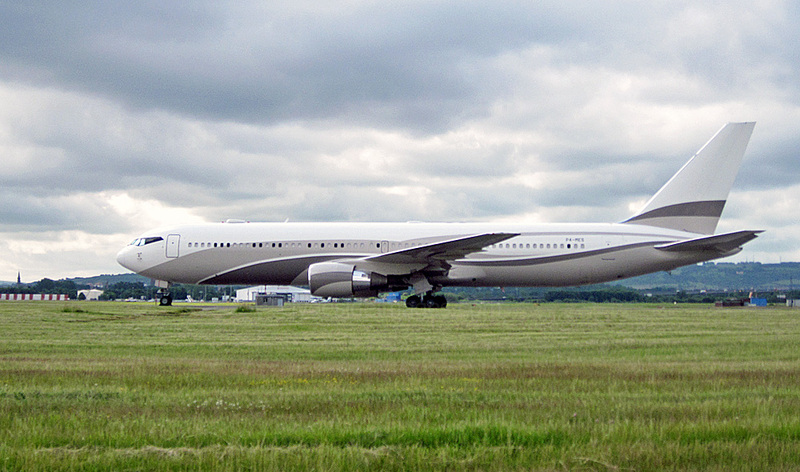 Another trio comprising one jet from Calgary, one from Vancouver and another from Toronto, landed within a 45 minute period on the morning of Wednesday 22 July, the first being Airbus A310-308 C-GLAT (above). Next was A330-243 C-GPTS (below right). 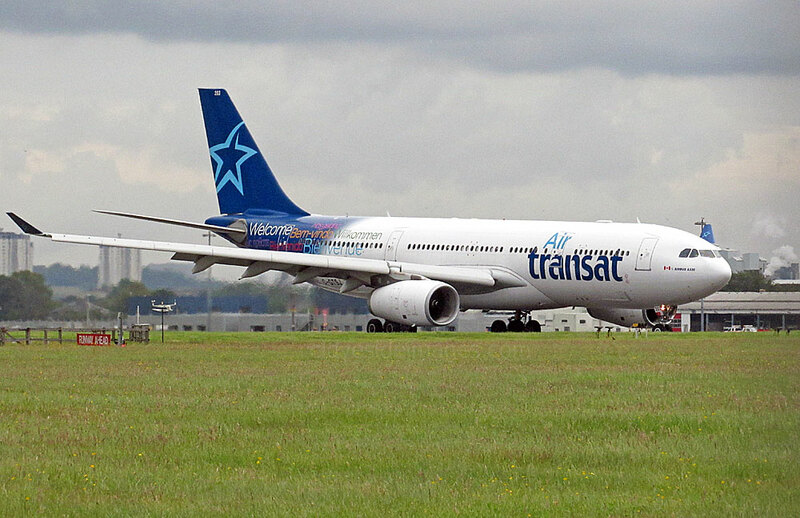 Visiting VIP Boeing 737 A6-RJZ took-off as soon as the last Air Transat heavy of the day, A330-243 G-GTSJ (below left), cleared the runway. 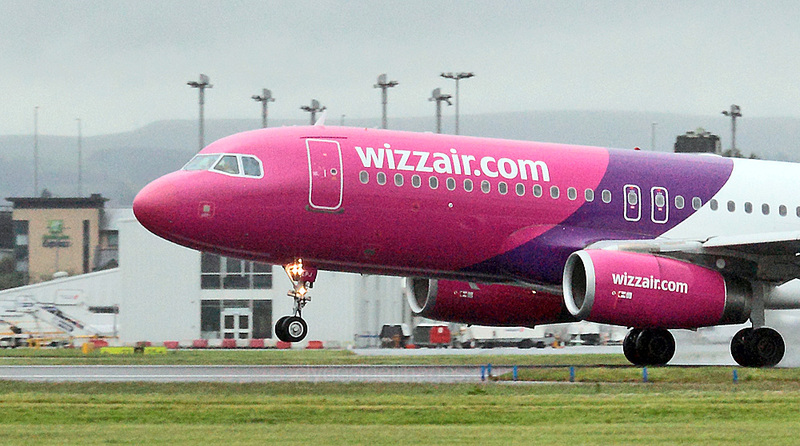 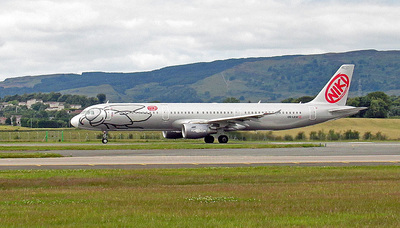 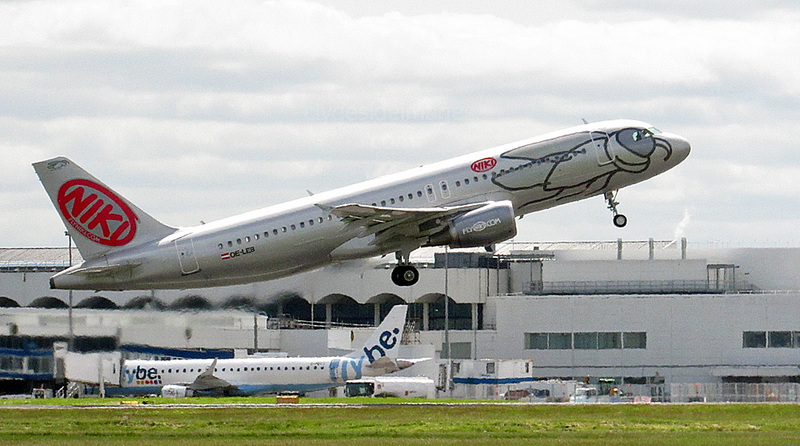 Low-cost Vienna-based Austrian outfit Niki is a subsidiary of Air Berlin. 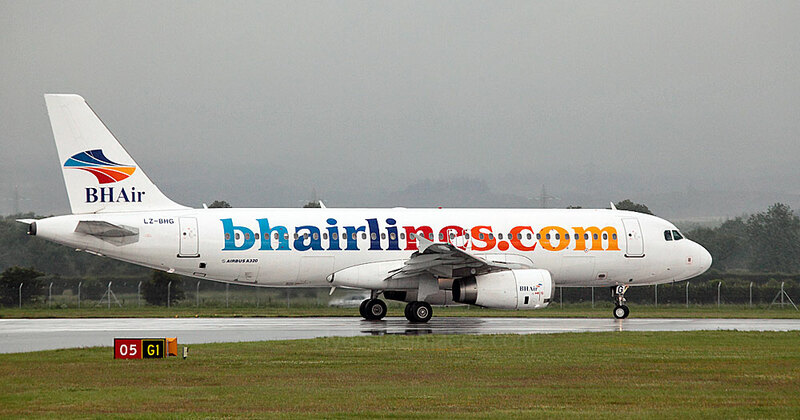 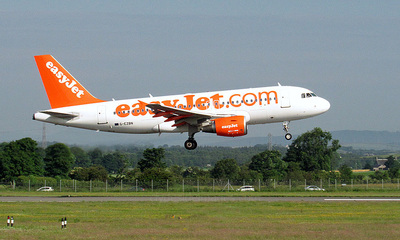 Airbus A320-214 OE-LEB visited on the 9th. 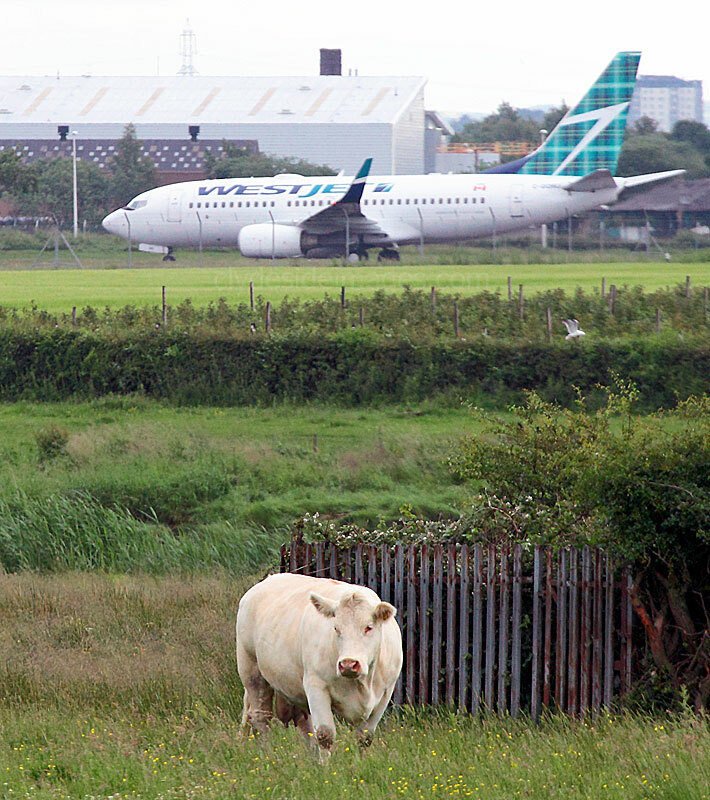 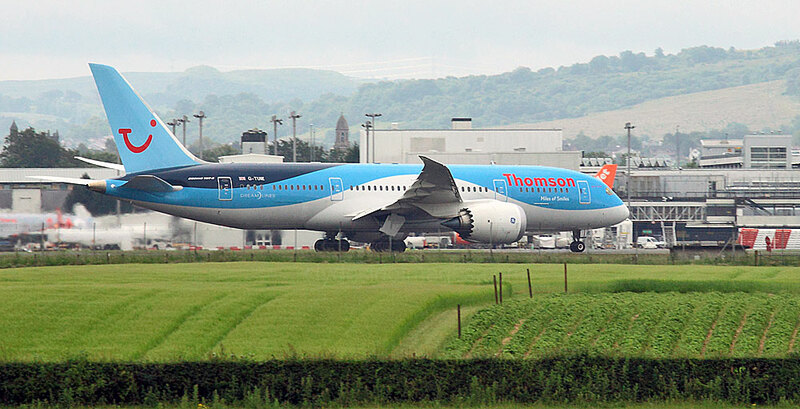 Westjet`s 737 C-GQWJ called in often on the Halifax-Glasgow service during July and, Thomson Airlines Dreamliner G-TUIE `Miles of Smiles`. 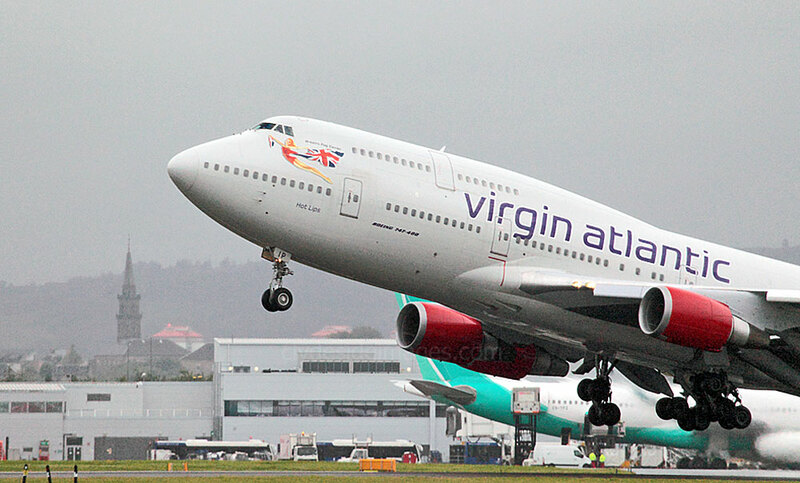 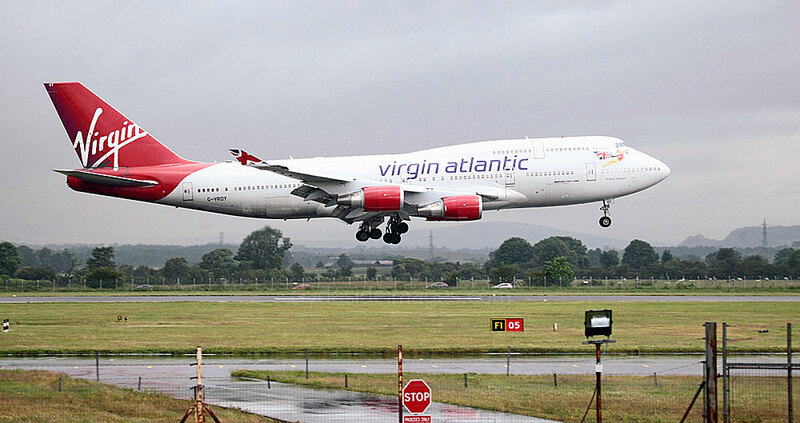 Virgin Atlantic`s Boeing 747-443 G-VROY is pictured below. 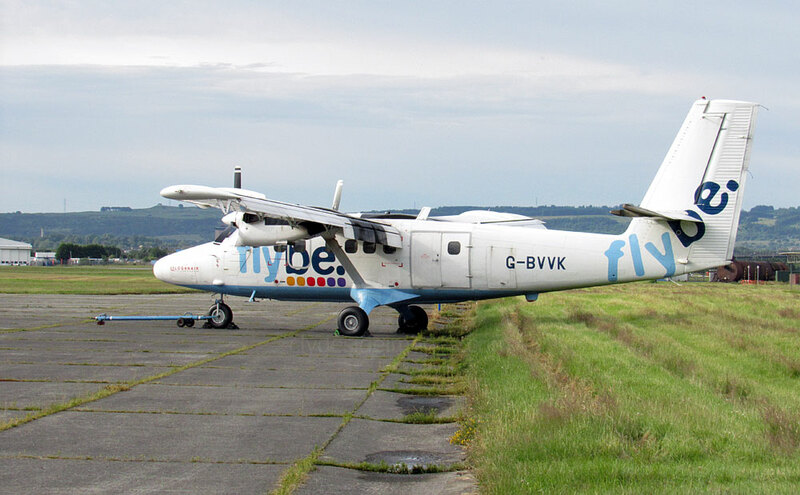 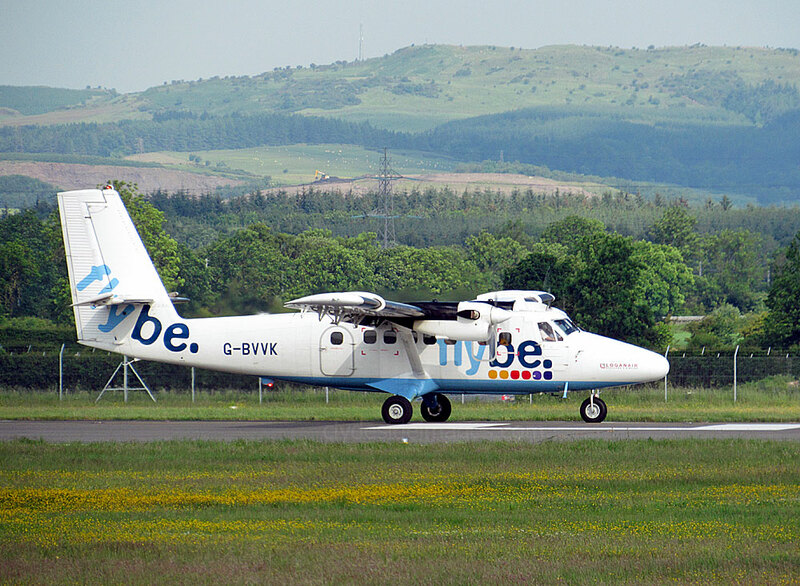 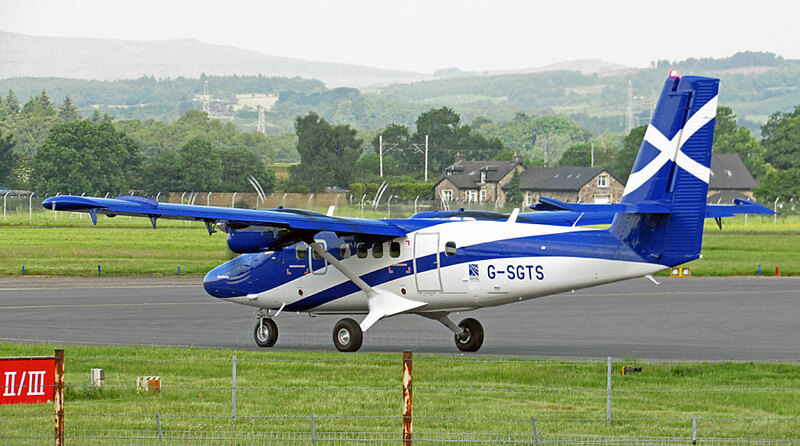 Loganair`s new Twin Otter G-HIAL being towed to Area `R` on Wednesday 1 July. 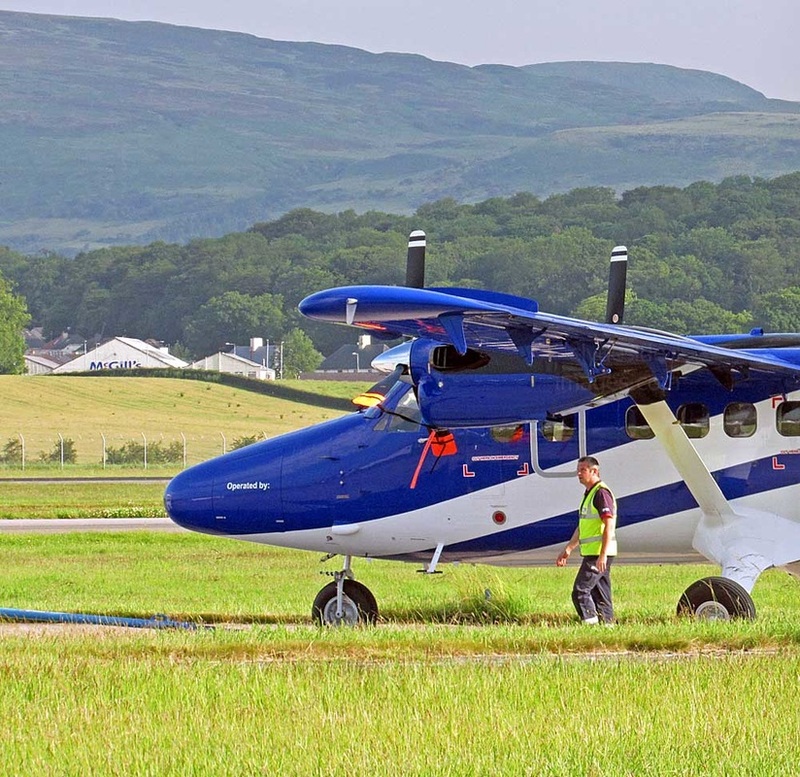 Friday 3 July was a cracking day weather-wise and, with thick veils of mist blanketing much of the low-lying ground around dawn it would have been perfect for a hillwalk. 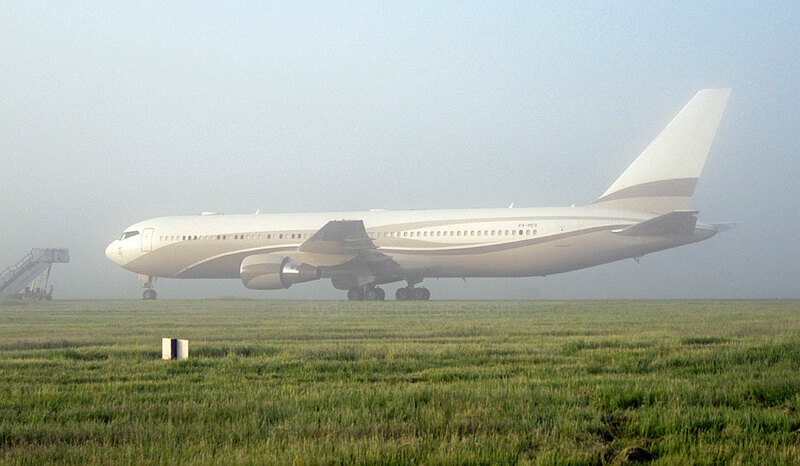 The visibility was very poor at the north side of the airport though when this early view of Roman Abramovich's luxury Boeing 767-33A(ER) P4-MES was taken. 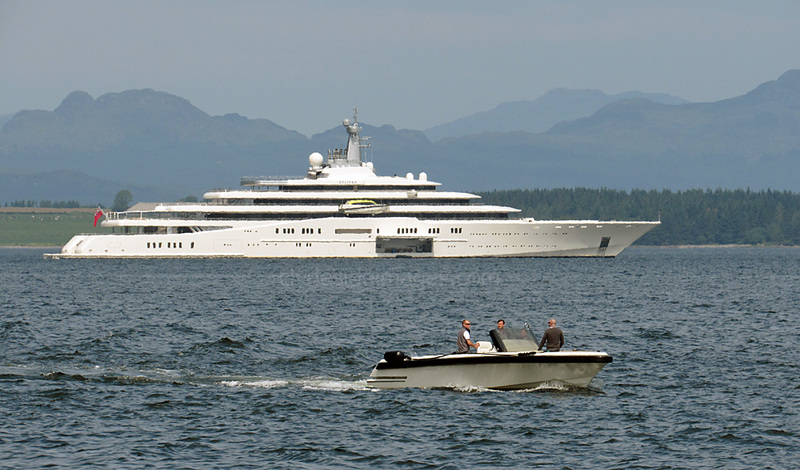 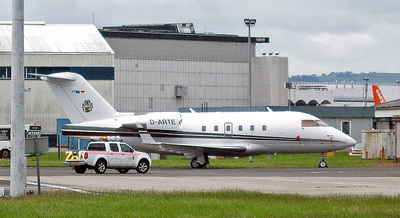 His Dassault Falcon 7X LX-MES (below right) arrived later that day. ​Bombardier BD-700 Global Express XRS LX-FLY, pictured on Area R on 7 July, is possibly an additional VIP transport in the Russian billionaire`s inventory. 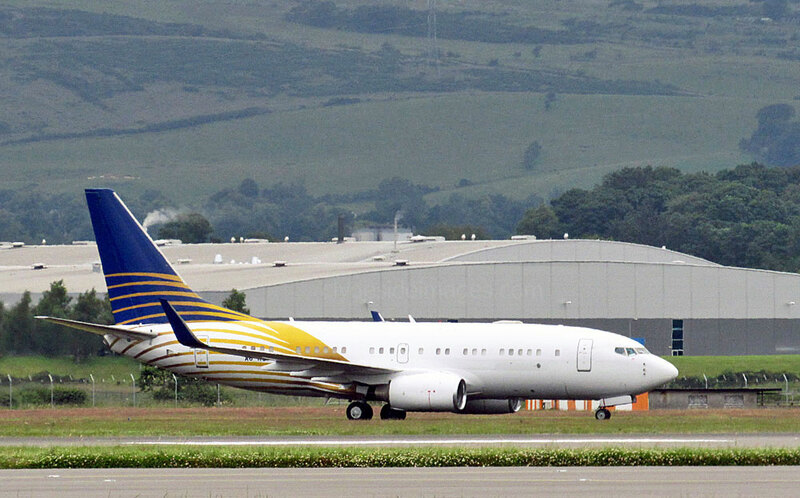 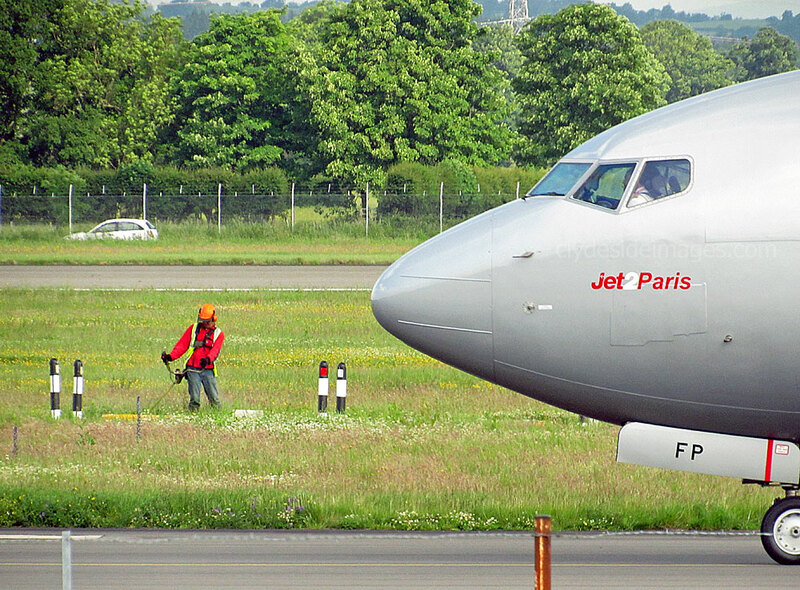 Royal Jet Group`s VIP charter Boeing 737-7Z5 (BBJ) A6-RJZ had arrived on the afternoon of the 21st and night-stopped. 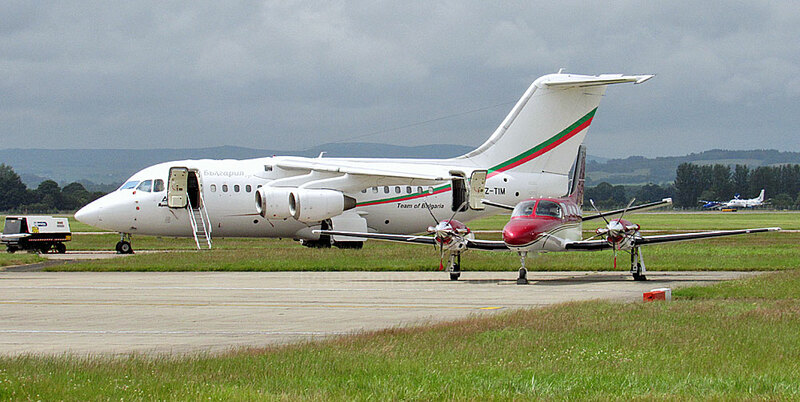 Bulgarian-registered BAe 146-RJ70 LZ-TIM arrived around 1220hrs on Saturday 11 July. 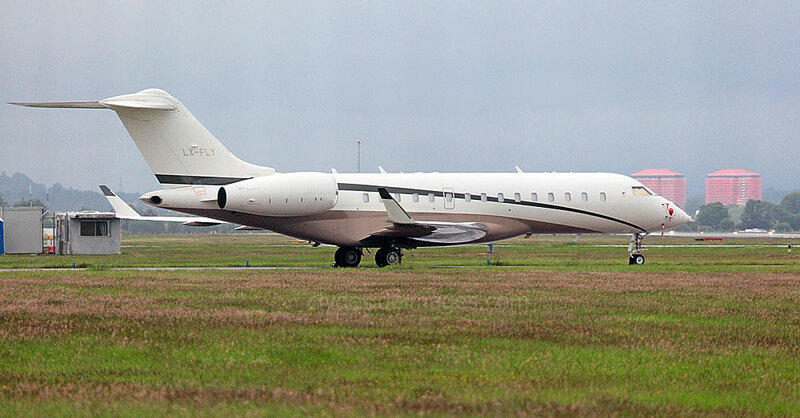 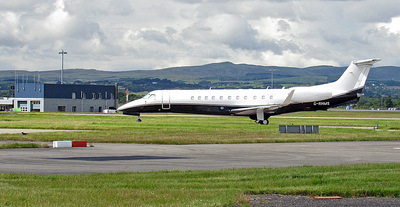 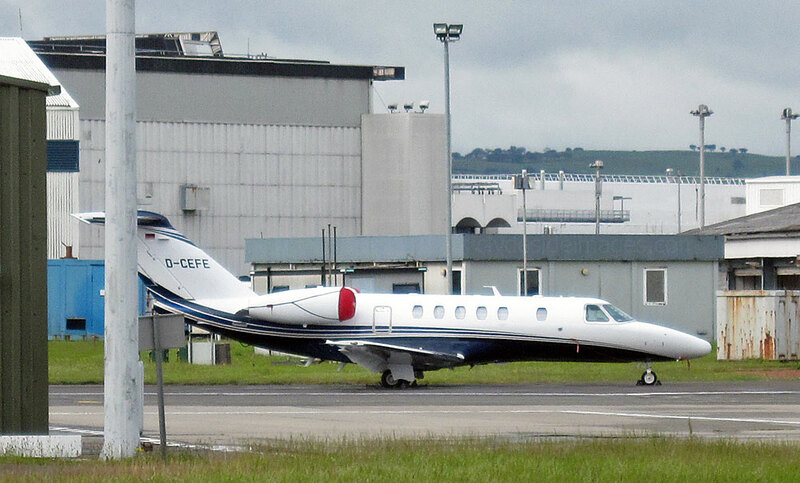 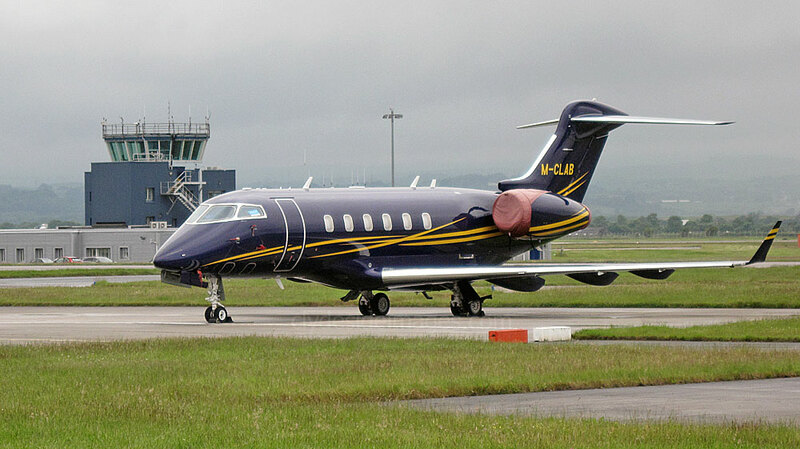 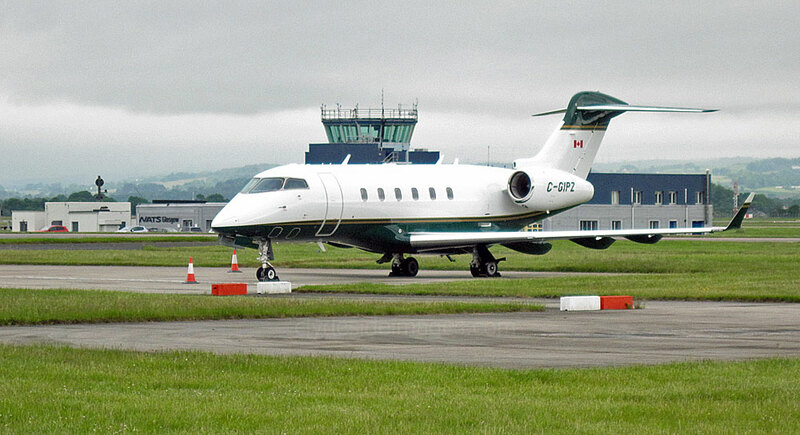 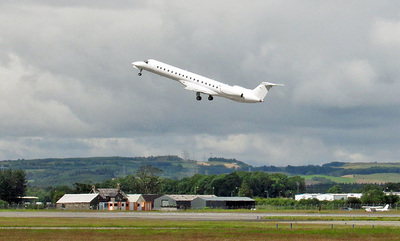 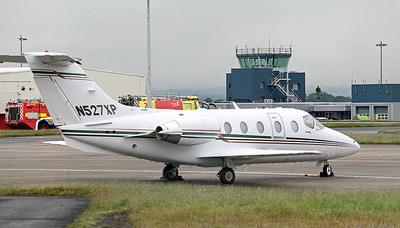 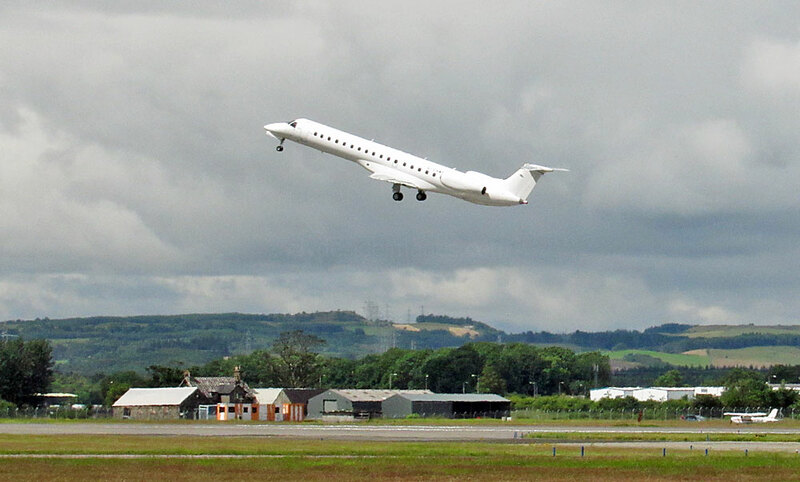 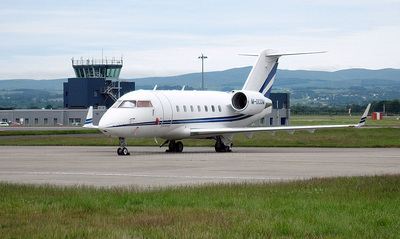 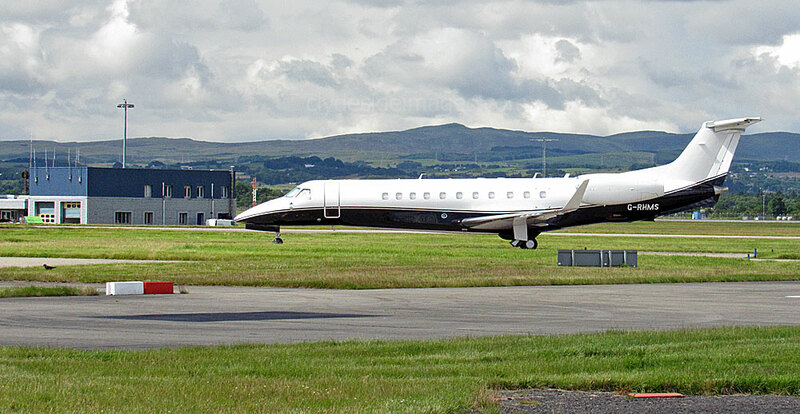 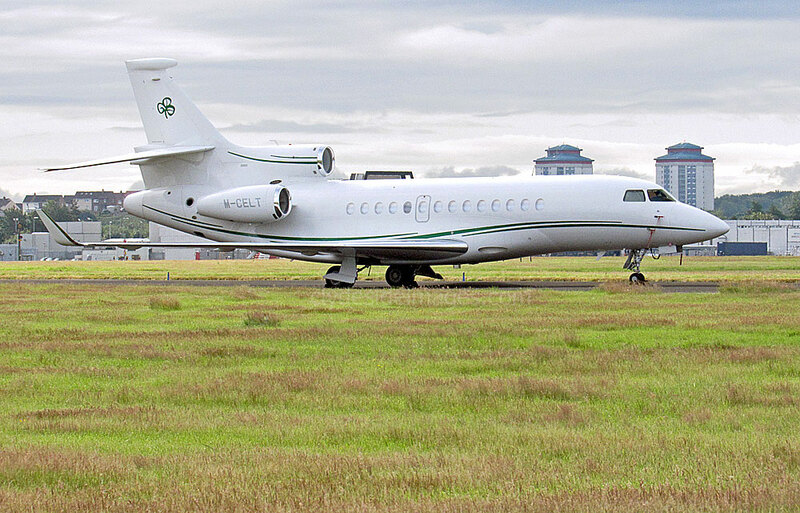 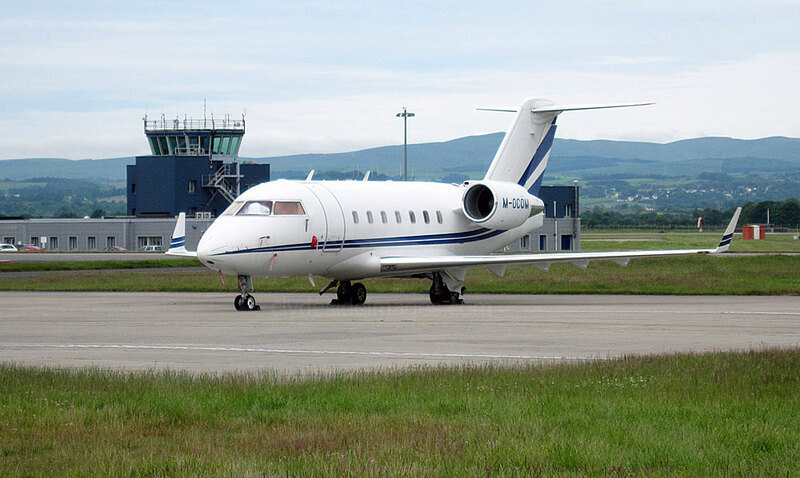 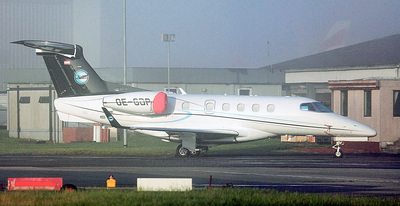 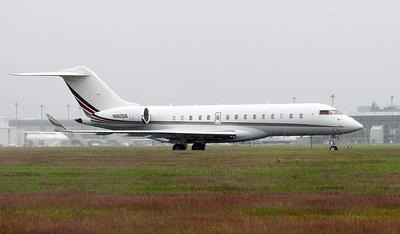 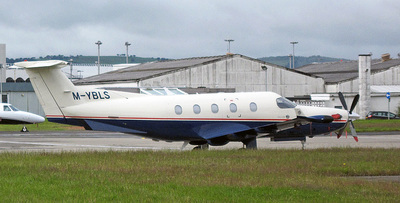 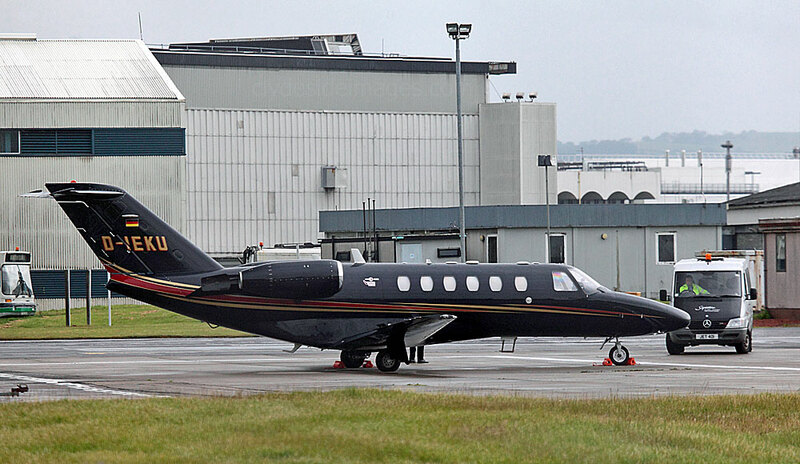 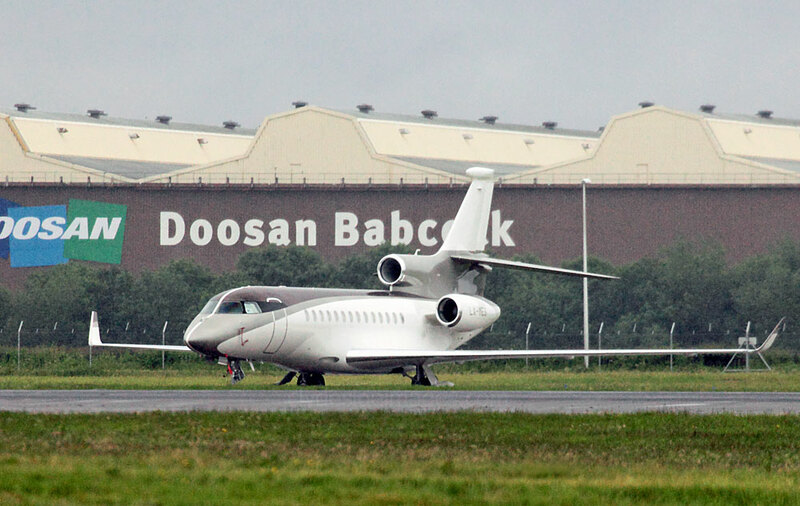 On Tuesday 14 July, Manx-registered Dassault Falcon 7X M-CELT was parked on Taxiway `Y` at the north side of the airfield. 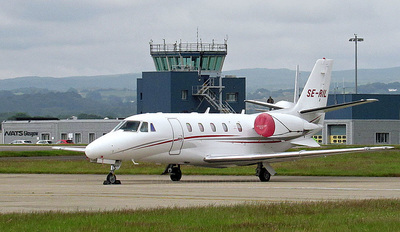 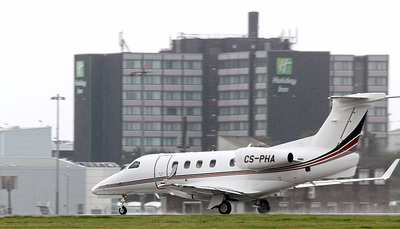 Cessna 525A CitationJet CJ2 D-IEKU. 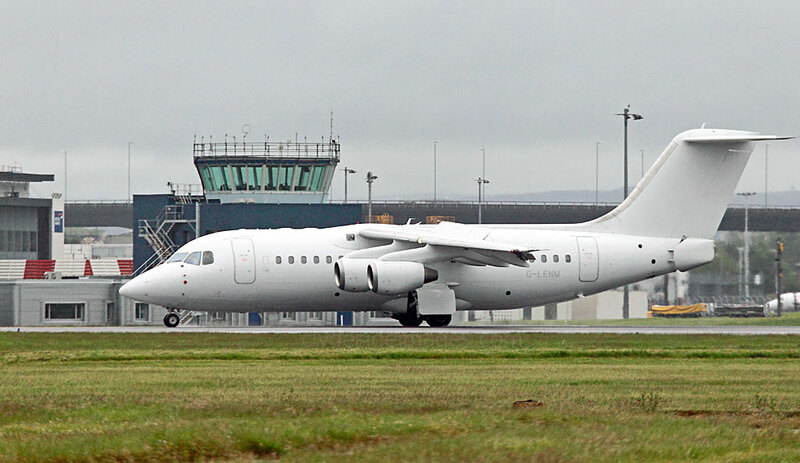 BAe 146 / Avro RJ G-LENM Cello Aviation. 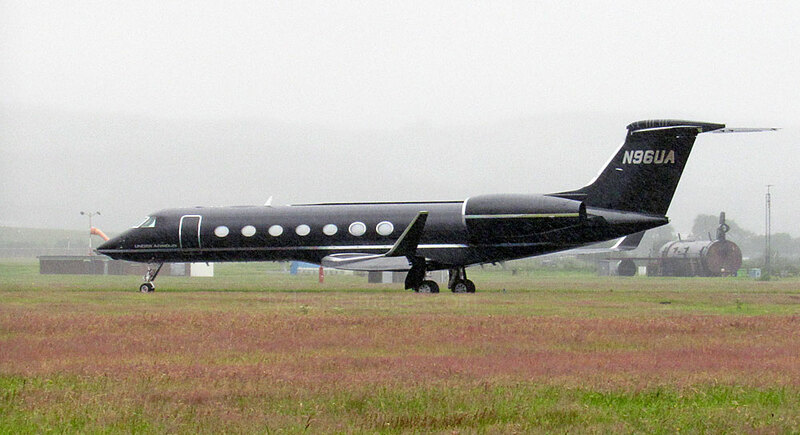 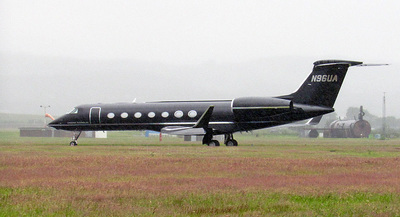 This Gulfstream 4-SP is registered to Virginia-based Salamander Services LLC, and belongs to Sheila Johnson who has the distinction of being the first female African American billionaire. 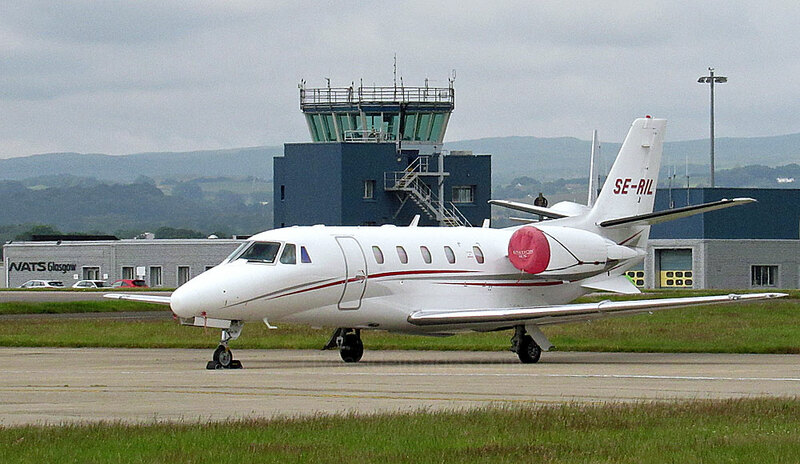 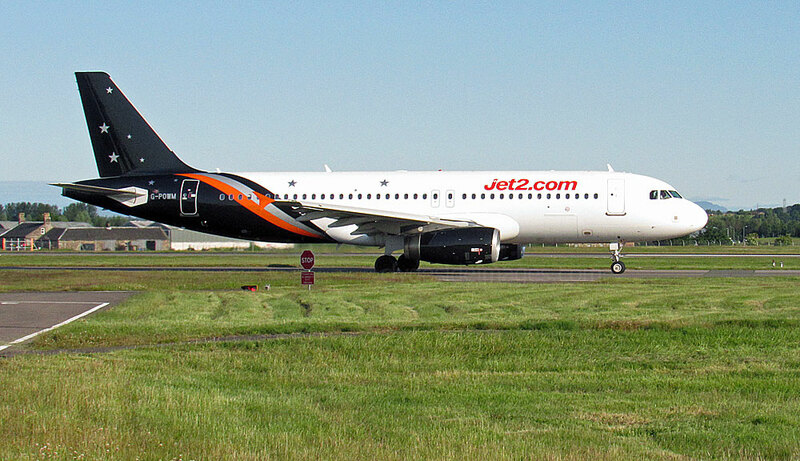 It bears her personalised registration N125SJ and has a salamander design painted on the tail. 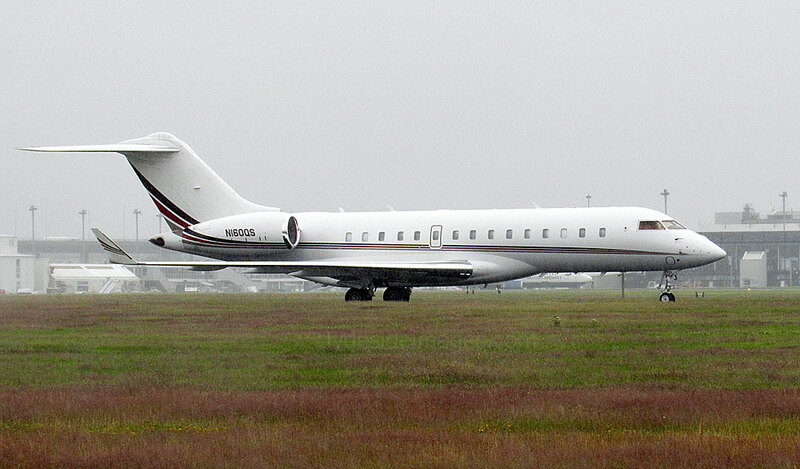 Johnson made her fortune along with her ex-husband Robert L Johnson when they founded BET (Black Entertainment Television), a cable and satellite network in 1980, subsequently selling the channel to the media conglomerate Viacom for $3 billion. 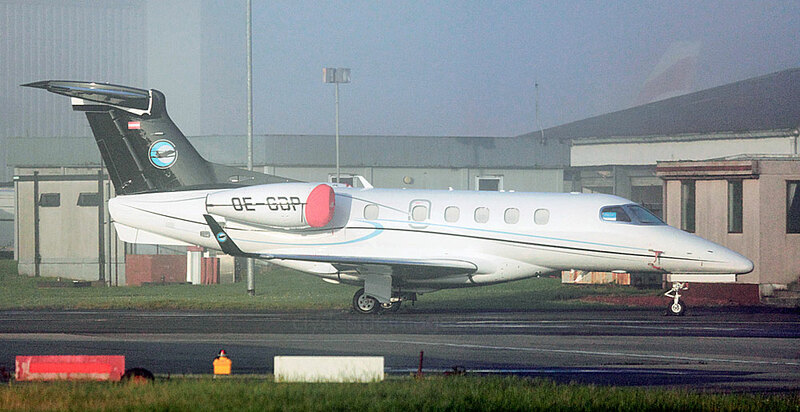 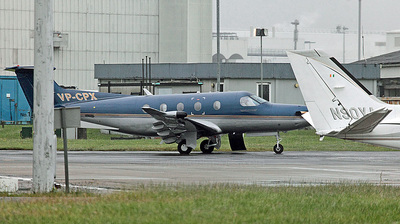 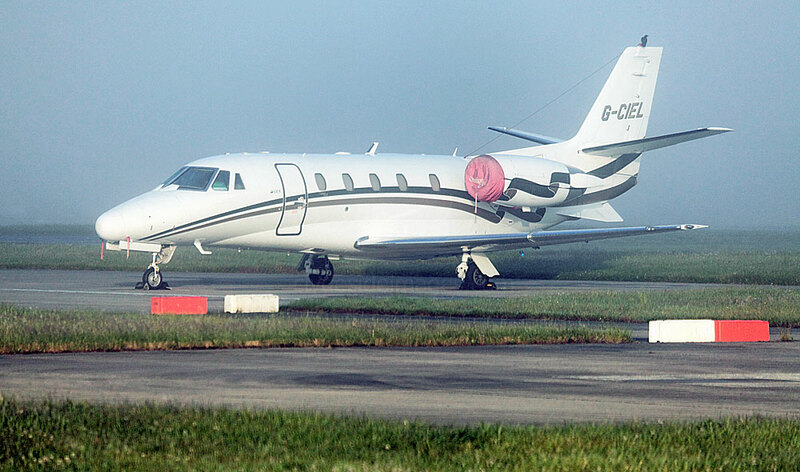 Cessna 560XL Citation XLS CS-DQB and US Gulfstream 4SP N465QS both arrived on the 23rd. Cessna 425 N90YA and Hawker 400XP Beechjet N527XP on the executive ramp, Friday 10 July. 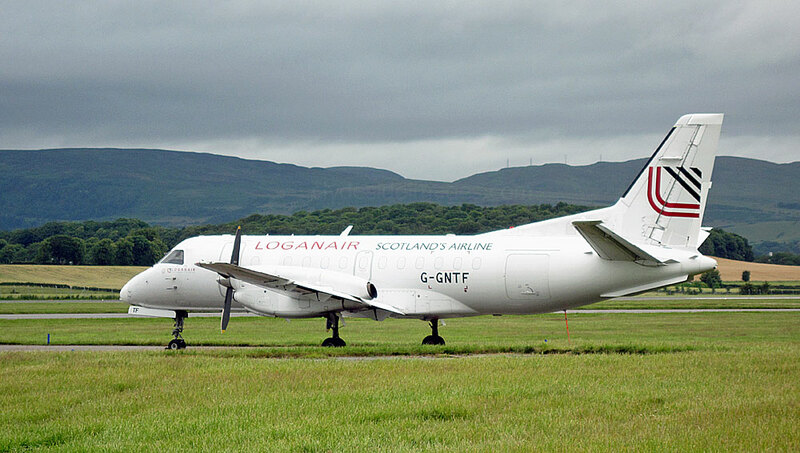 One of July`s undoubted highlights was this Douglas DC-3T N467SP which night-stopped 14/15th. 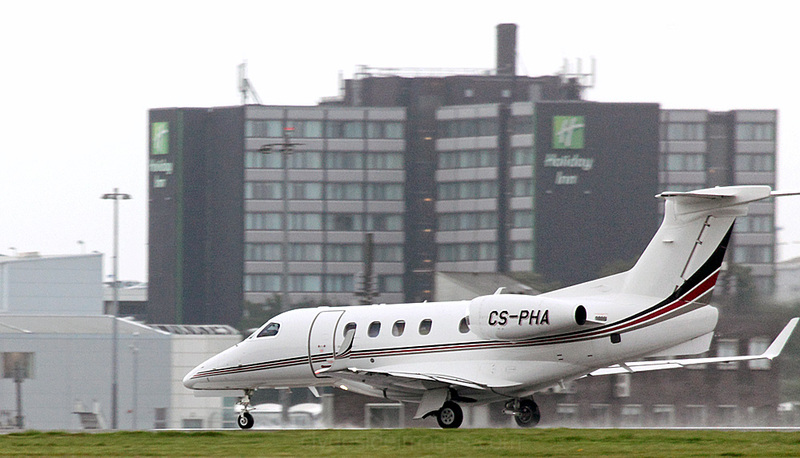 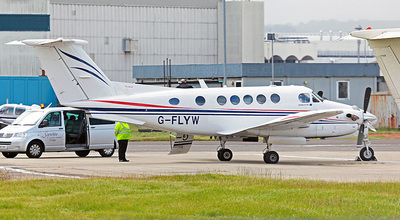 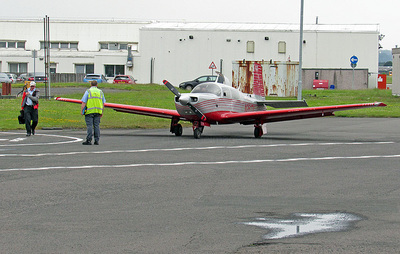 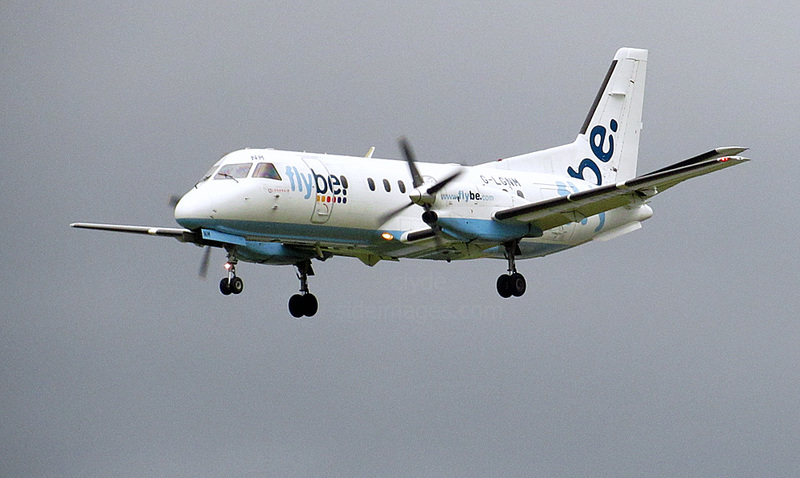 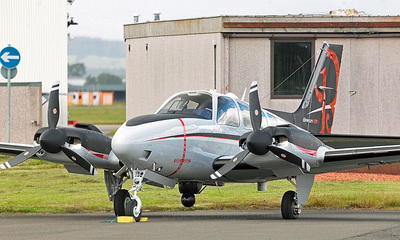 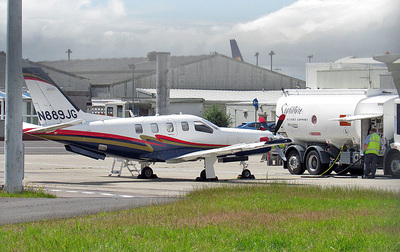 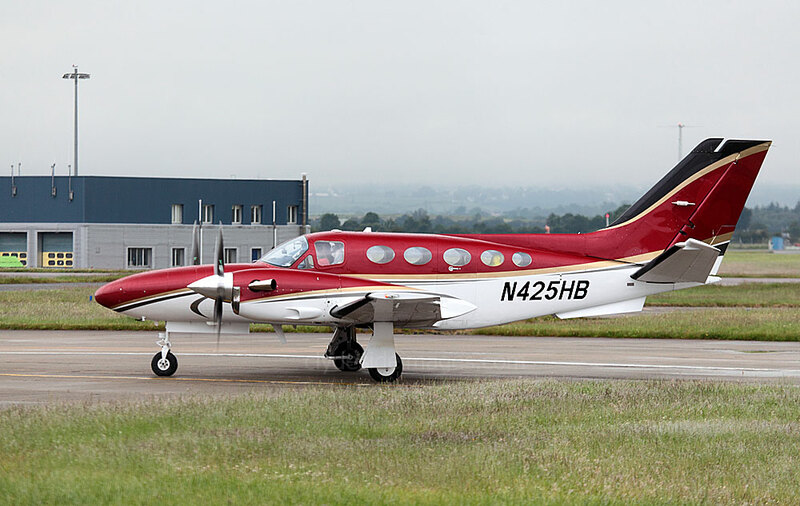 ​Cessna 425 Corsair N425HB became a familiar sight at Glasgow during July. 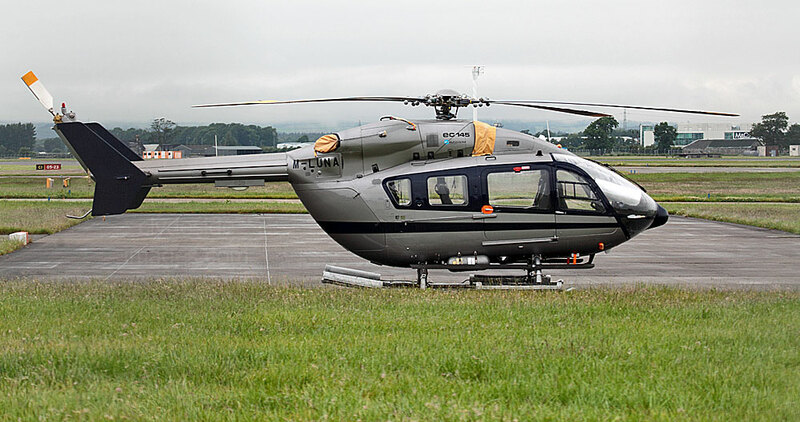 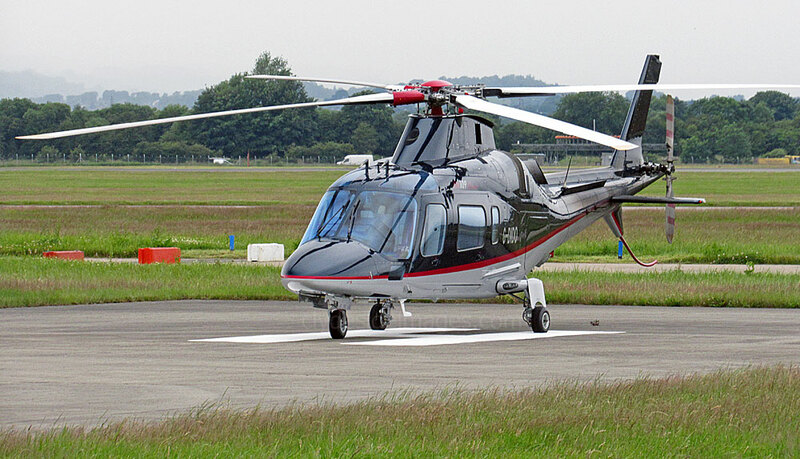 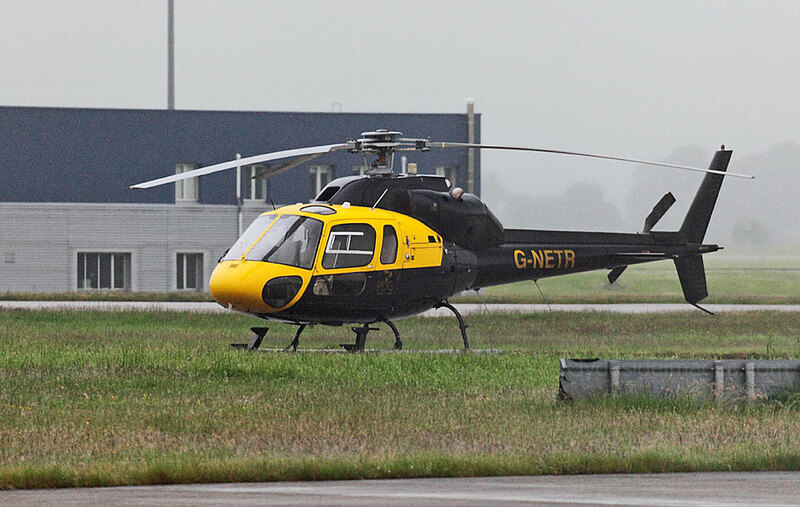 Manx-registered Eurocopter EC145 M-LUNA is pictured on Wednesday 1 July which was the hottest day of the year to date. 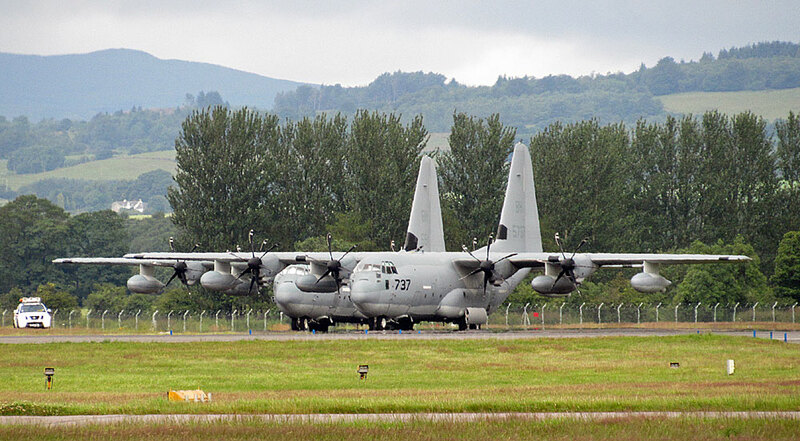 Another highlight this month was a trio of US Marine Corps KC-130J tankers staying over on 17-19 July. The inbound Hercs used the call-signs `OTIS 58` / `OTIS 59` / `OTIS 91`. 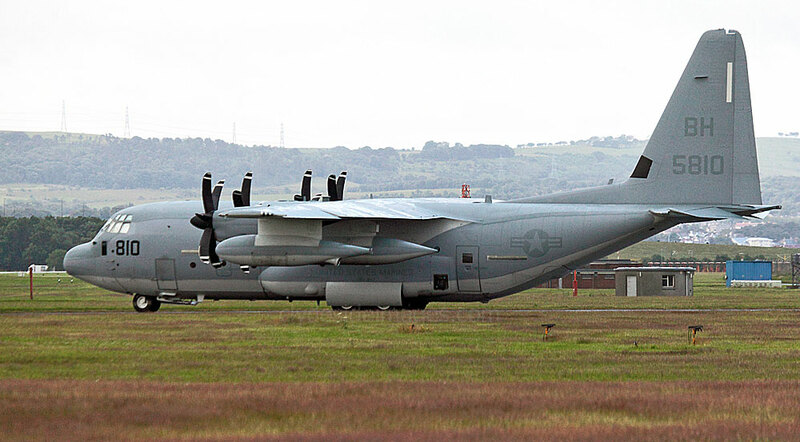 ​The Hercs belong to Marine Aerial Refueller Transport Squadron 252 (VMGR-252) based at Cherry Point, North Carolina. 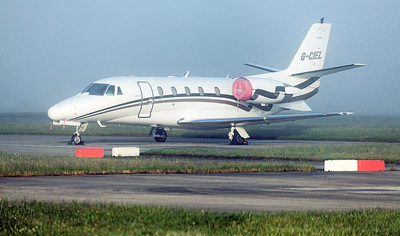 All were coded `BH`. 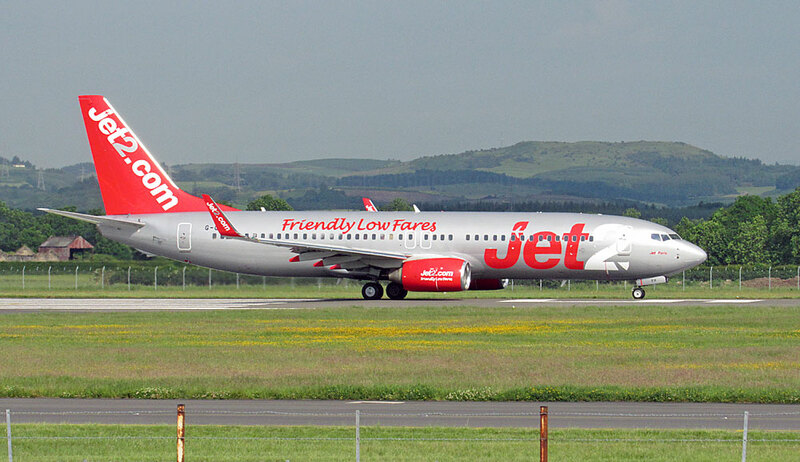 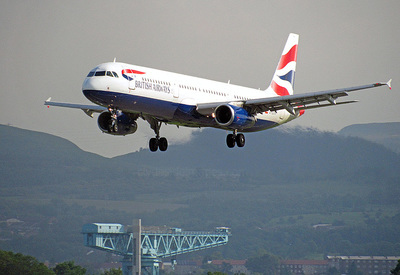 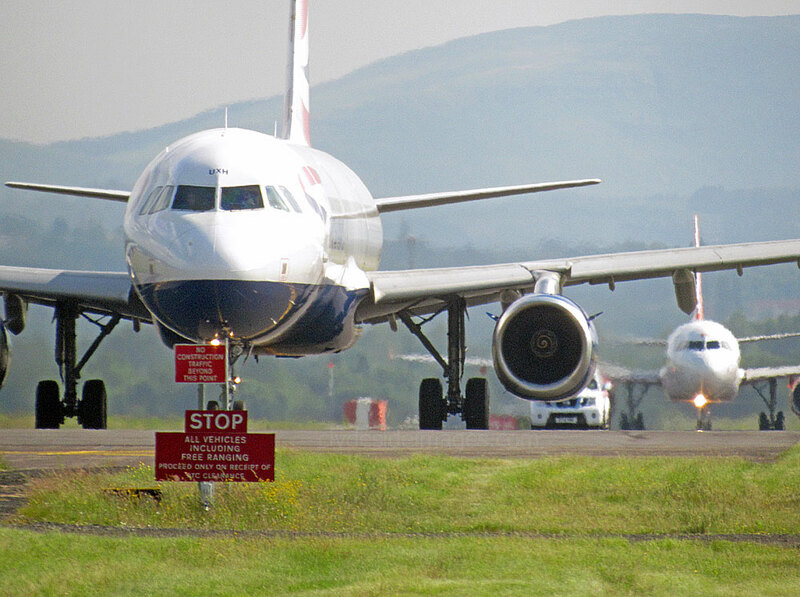 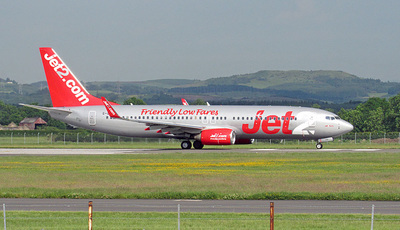 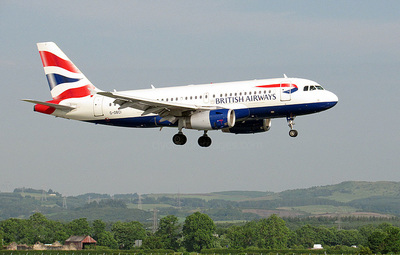 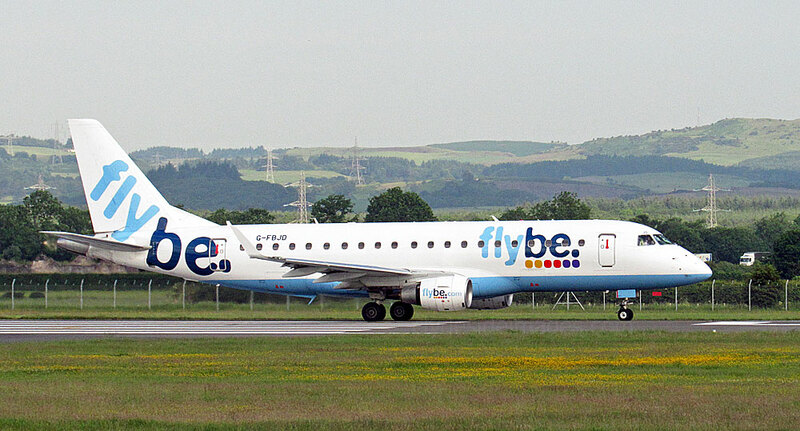 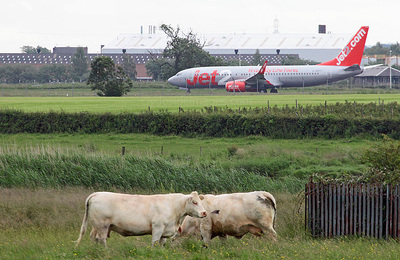 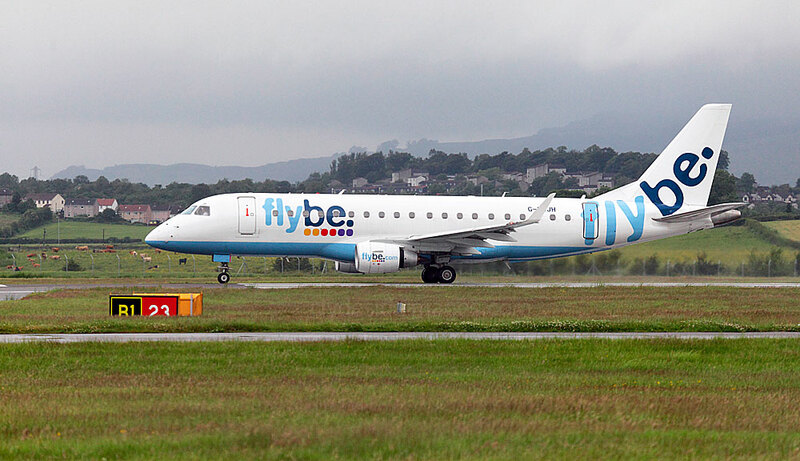 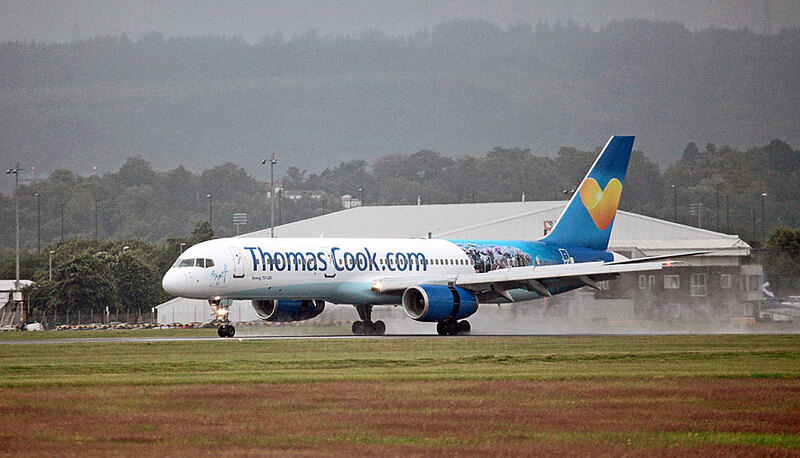 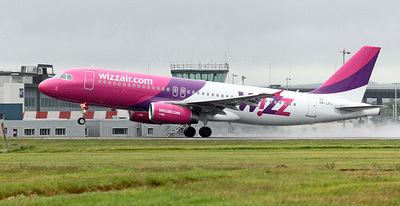 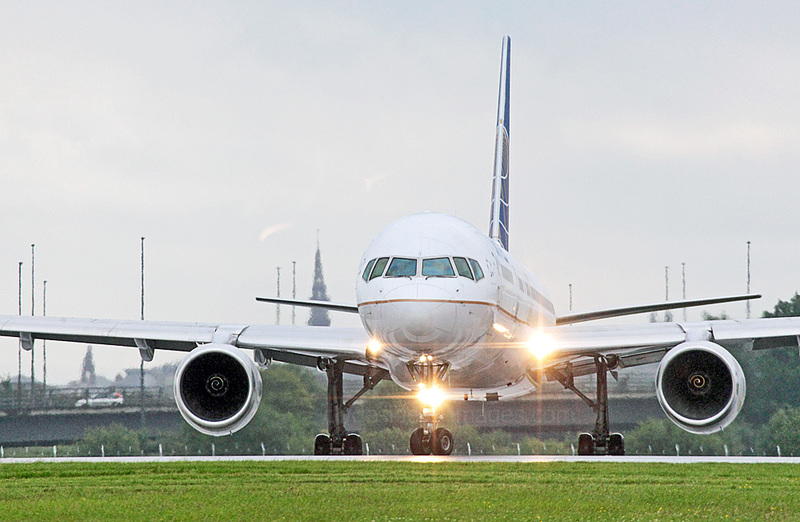 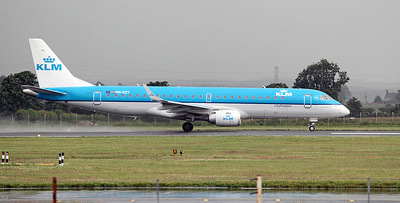 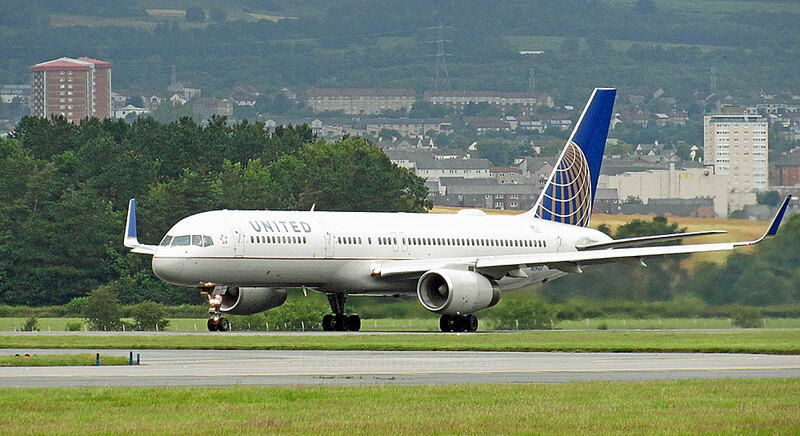 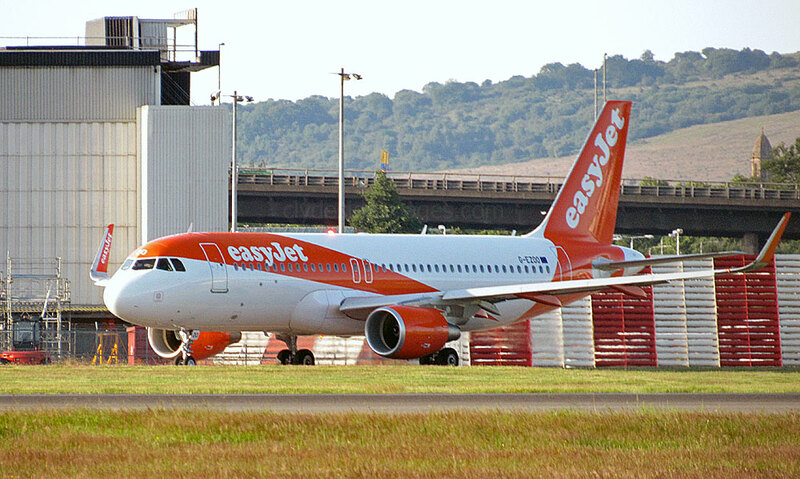 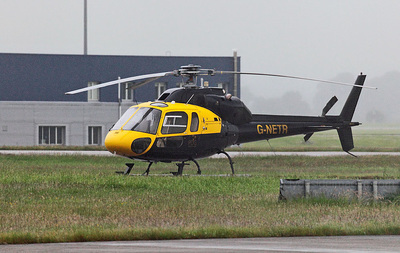 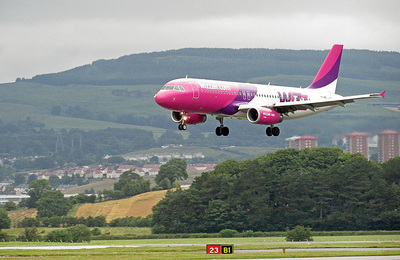 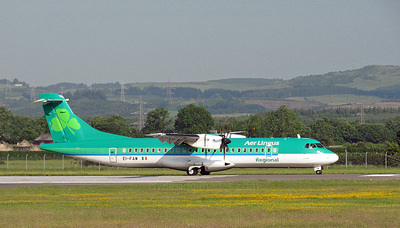 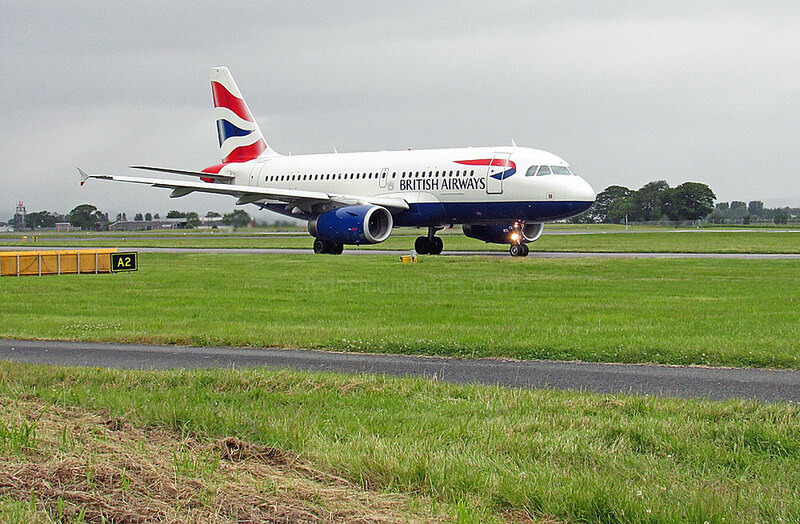 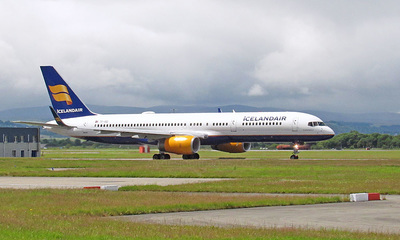 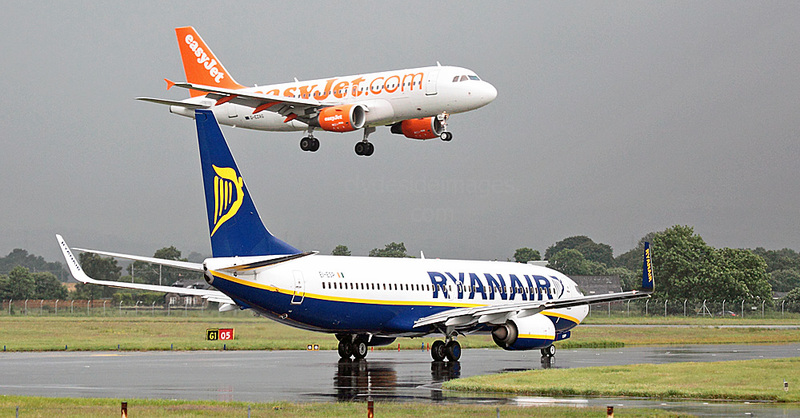 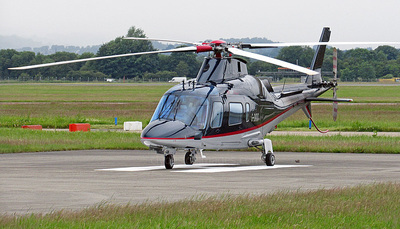 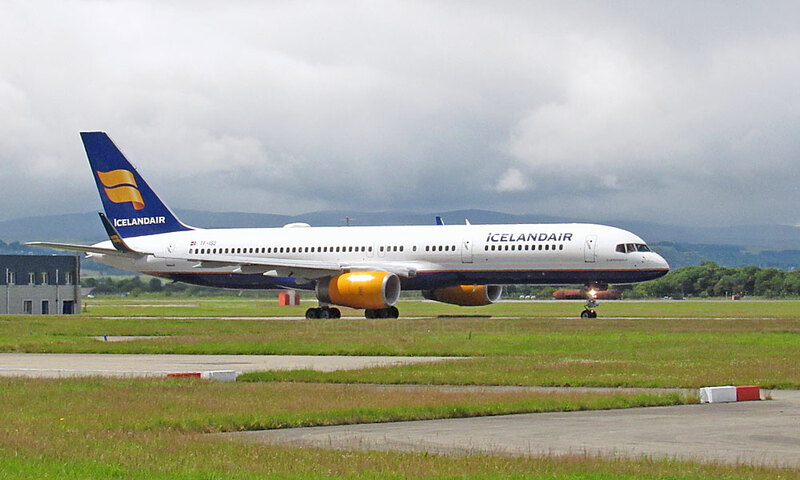 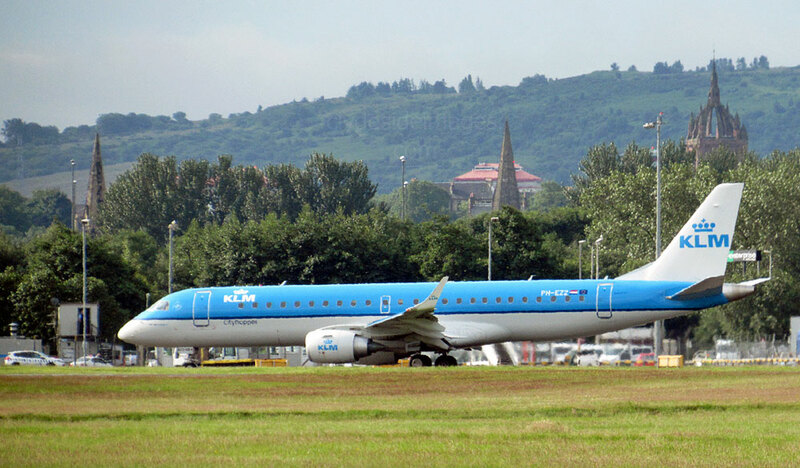 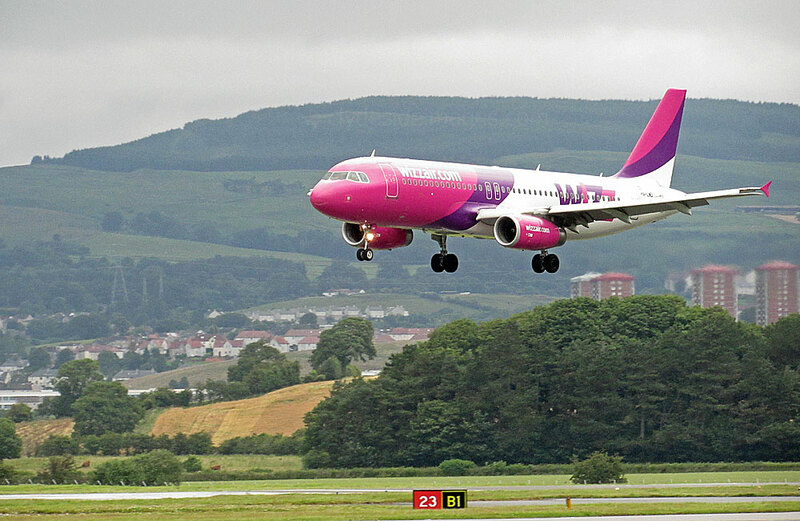 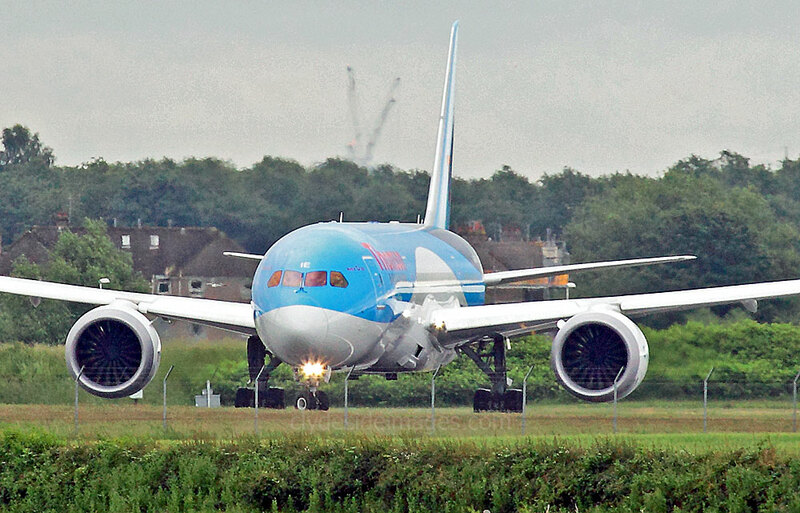 ​The first aircraft, 165810, flew out on Saturday afternoon while 165737 and 166511 took off mid-afternoon on the 19th. British Army Britten-Norman BN-2B Defender ZG995 appeared on the 2nd. 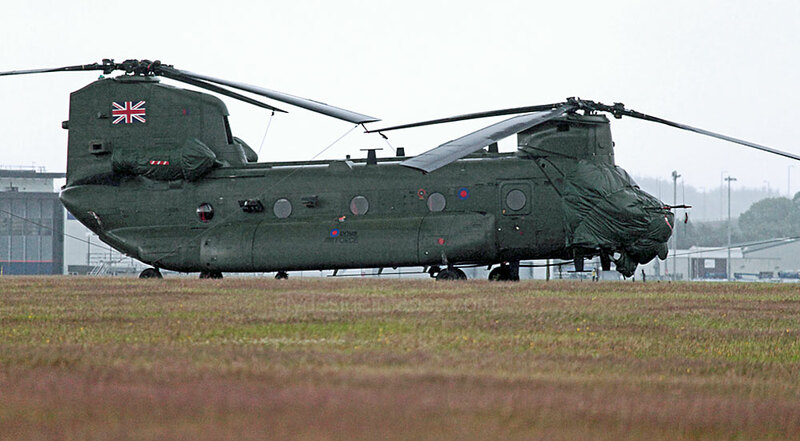 CH-47 Chinook HC.3 ZH898 and EH101 Merlin ZJ119 (C) "Arctic 2" called in on Wednesday 16 July. 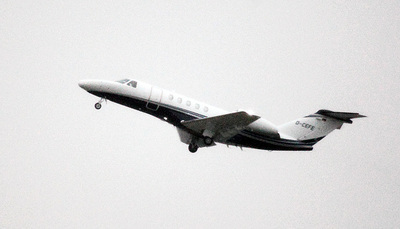 The Merlin also overflew twice during the afternoon of 15th. 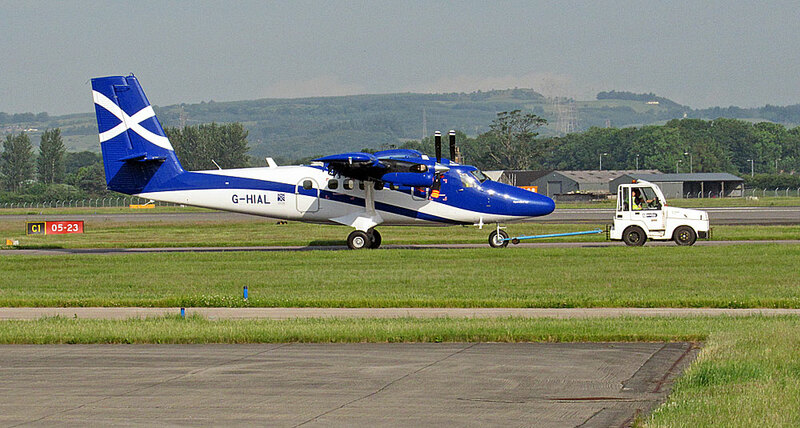 Britten-Norman Defender T.3s ZH004 and ZH001 Army Air Corps (22nd); RAF CH-47 Chinook HC.2 ZA704 `LIFTER 1` overshot Runway 05 around 2120hrs (26th), BAe146 CC.2 ZE701 RAF (30th). 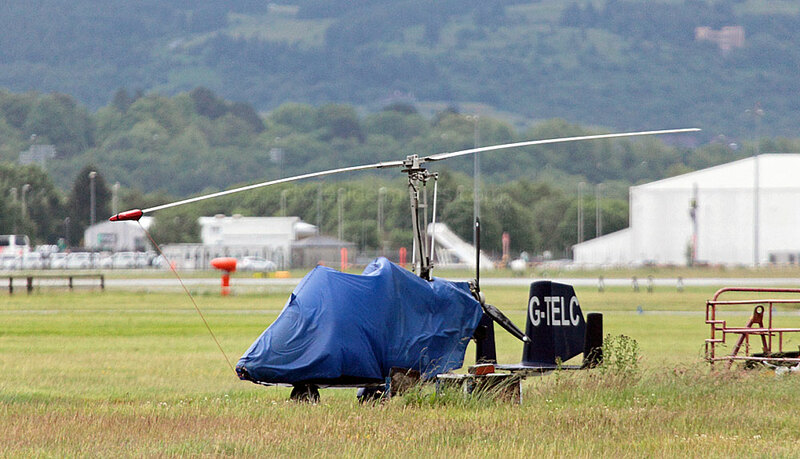 On Friday 17th, CH-47 Chinook ZH898 was parked on Taxiway `Y`.